I should be doing other things right now, but I really felt like making a tutorial today because… 1) I want to avoid doing those other chores, 2) some of the things I did to ‘fix’ the image were rather cool, 3) I want to have it written down somewhere so that if in the future I want to remember what I did I can refer back to this post, and 4) hopefully you will get something out of this post that will help you ‘fix’ one of your images. I did a few things to this image to ‘fix’ it. Originally the image was a bit yellow and it was a jpg image so changing the white balance took a few tweaks. 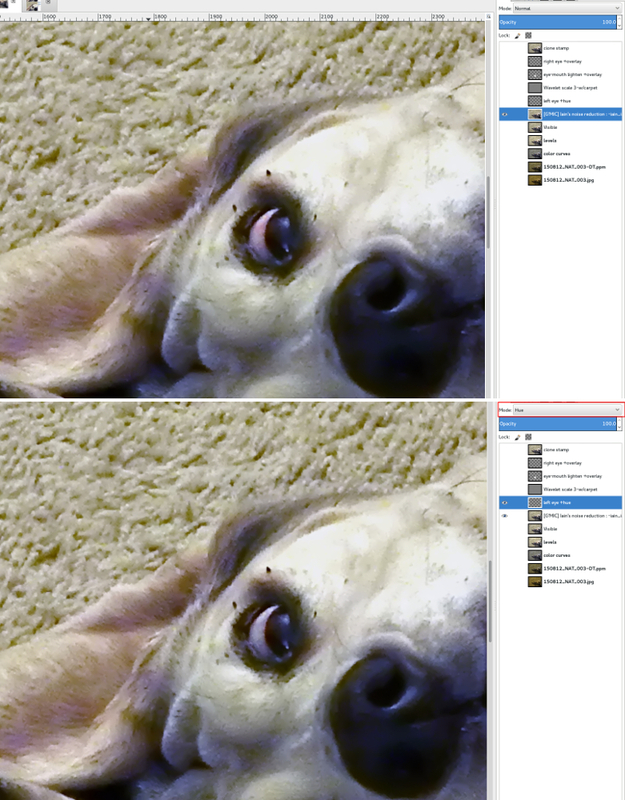 Additionally, I removed some noise, lightened my pup’s face a bit, including making her eyes seem less bloodshot, and then I removed some distracting elements from the corners. I used DarkTable this time (instead of UFRaw) because I wanted to see if I could fix the white balance any easier by playing with the WhiteBalance toggles (also UFRaw requires a Raw image, this was a jpg). 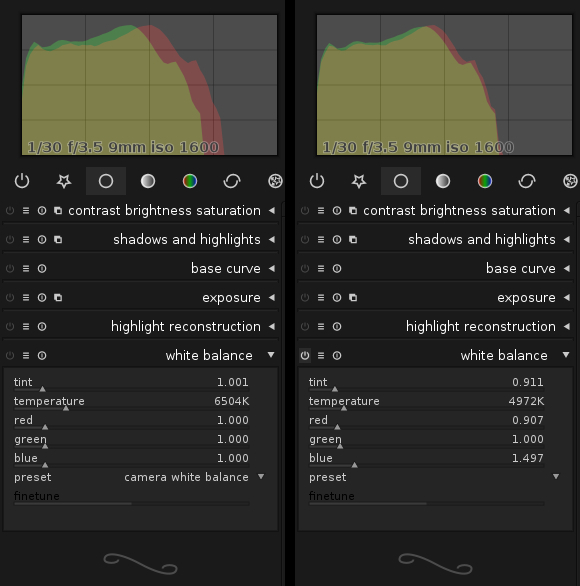 DarkTable has a lot of the features you might find in LightRoom… I tend not to use it as much because I was trying to use software that was available to all platforms for my tutorials, DarkTable is not available for Windows. Mostly I reduced the red and increased the blue to make the white balance a bit less yellow. 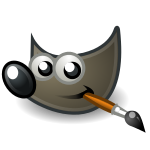 But the real magic was achieved in GIMP, which is why after 8 months of using GIMP I am still an advocate. 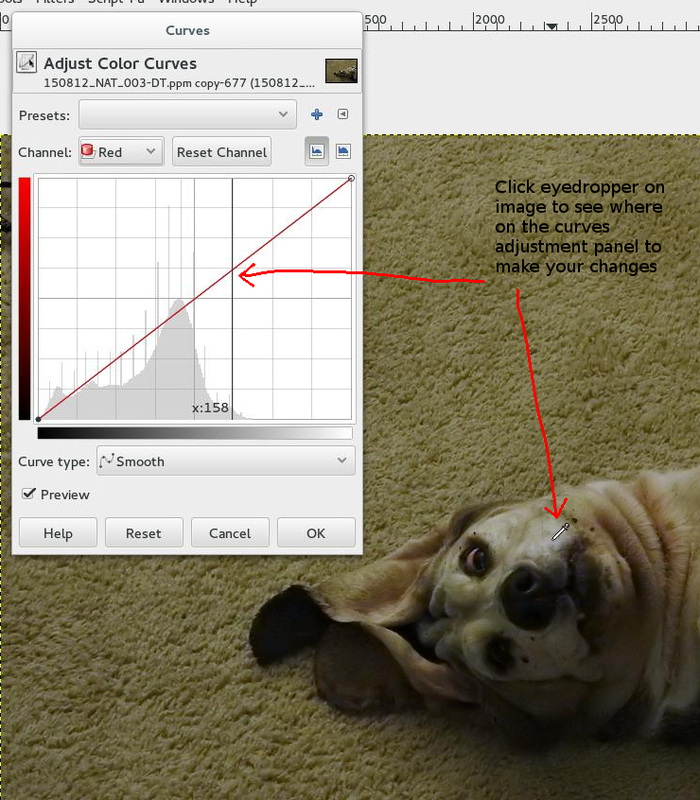 I’ve talked about Color Curves briefly here (Pat David has a great tutorial on color curves). 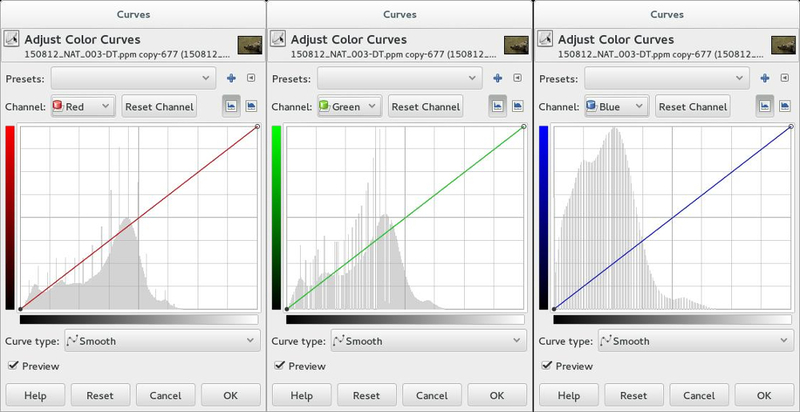 The curves module will also allow you to play with the Red/Green/Blue Channels to adjust your image color. 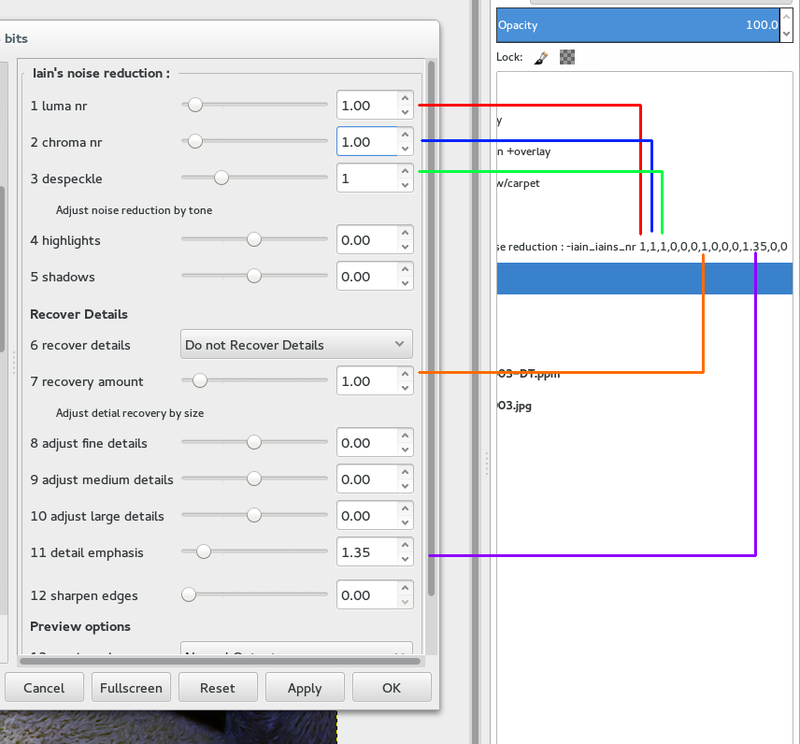 Be sure to change the Input/Output dropdown menus to Active, New Layer, and Verbose (layer name), so that you will get a new layer that tells you what was done in G’MIC. 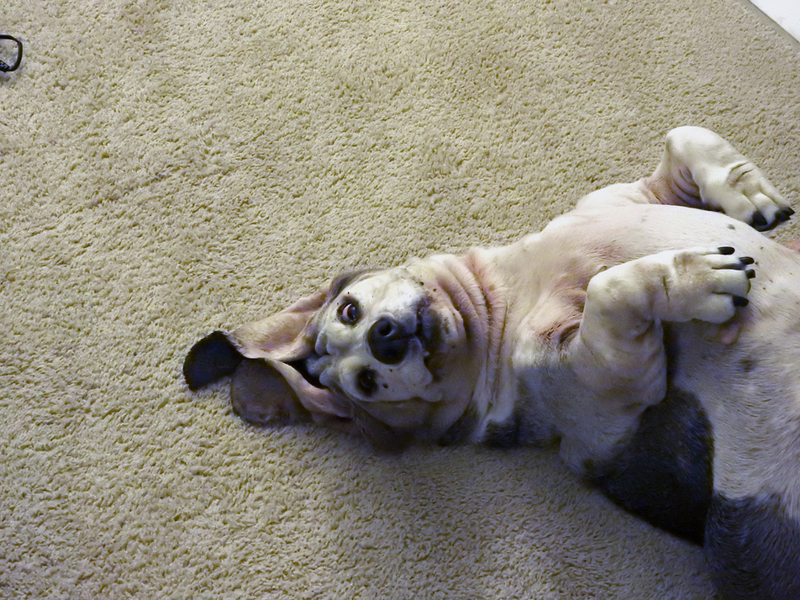 If you’ve ever met a Basset Hound before, you know that they have really droopy eyes. Sometimes that redness in their eyes doesn’t make for the best photograph. Plus my dog is allergic to several things in the air (trees, grasses, etc.) and on this day her eyes were a little more red than usual. This ‘fix’ is fairly easy, the ‘hard’ part is dependent upon your ability to draw with your mouse/trackball/finger/wacom/etc. 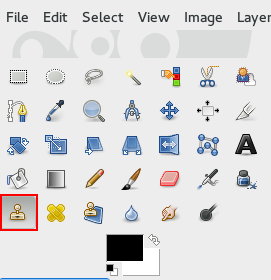 Make a new transparent layer above all the other layers, Layer->New Layer->Transparency. For the distracting objects in the corners I used the cloning tool. I was pretty lucky that the rug is fairly easy to clone and not look obvious. 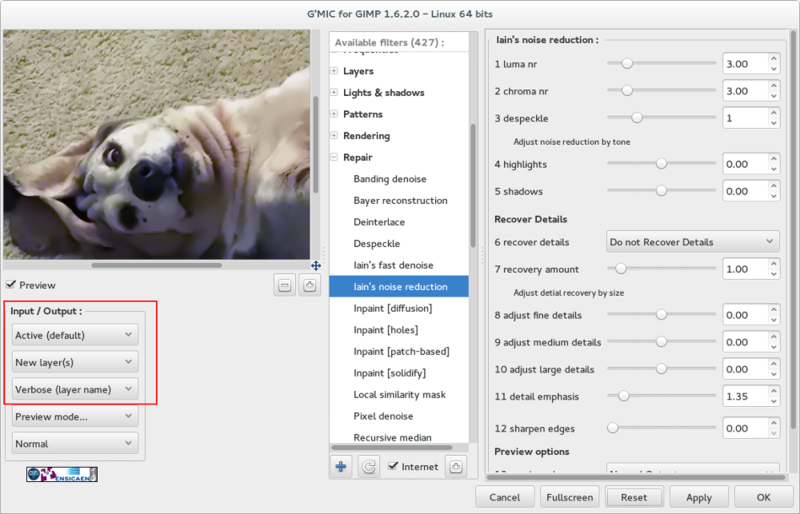 Simply Ctrl-Click on an area that you would like to clone, then click on the area you would like to cover. It takes some finesse but it is doable. I like to sharpen up my images last. 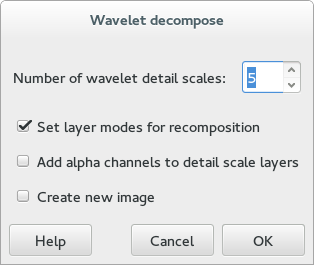 Lately I’ve been using a plug-in called Wavelet Decompose. I first mentioned it here, and have really liked the results and have kept using it. 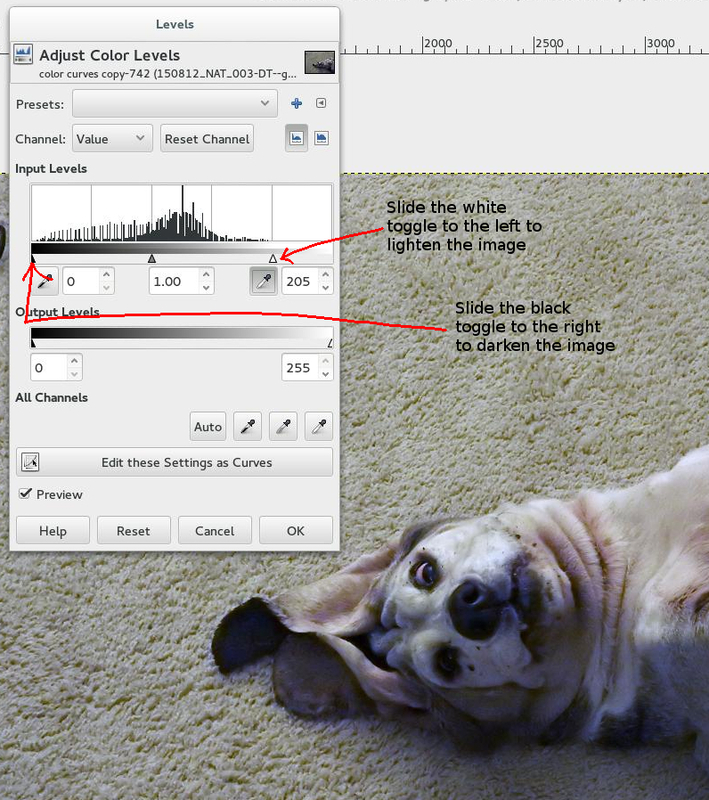 This works best if you create a new Visible layer first, just in case you have some layers depending upon other layers. 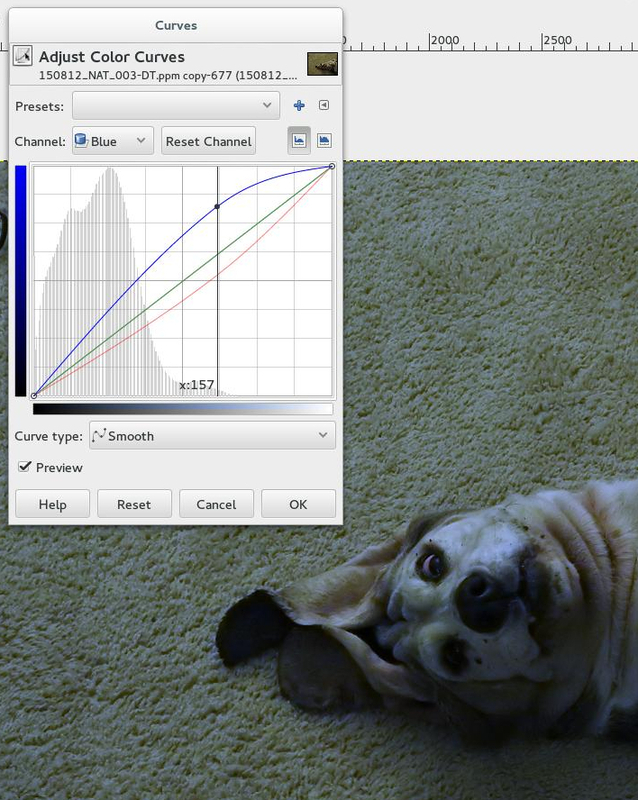 Go to Filters->Generic->Wavelet Decompose. 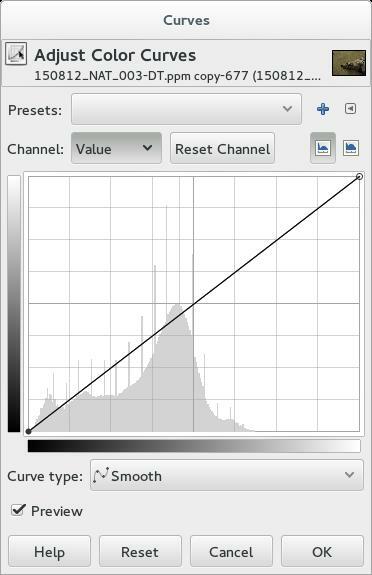 I tend to use the default value of 5, and typically delete all but wavelet 3 & 4… then keep one or the other, sometimes I keep both depending upon the amount of detail it brings. 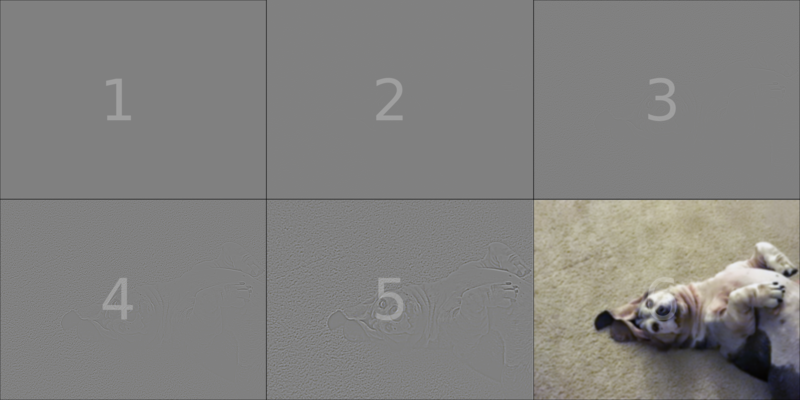 I decided that there was just the right amount of sharpening with Wavelet Decompose Scale 3 only. This image was used as the first week of the September One Four Challenge. As you can see I did a bit of fiddling to get the image to a better place, but it didn’t take very long to do. In all honesty, writing this tutorial took far longer to create than the Week 1 image. I do hope that you learned something from this breakdown/tutorial and that you will try some or all of the techniques explained here. 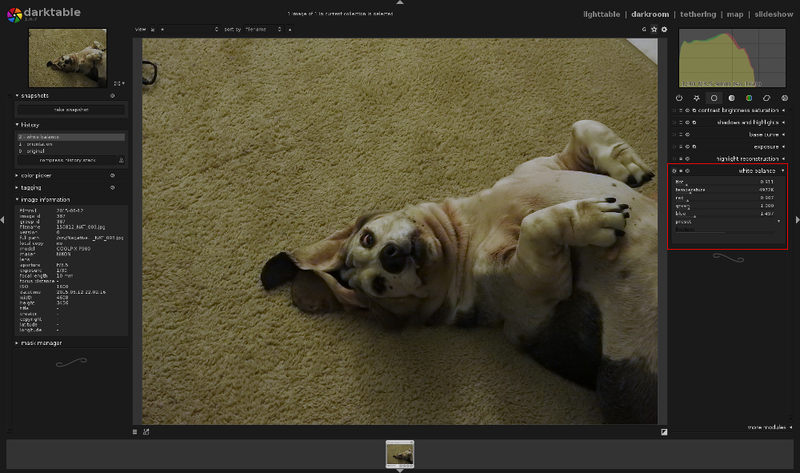 This entry was posted in g'mic plug-in, gimp, natural light photography, one four challenge and tagged basset hound, dog, one four challenge, pet photography, photography, post processing. Bookmark the permalink. Great tute – thank you Nic. An amazing difference! you give great tutorials!! Lovely resulting image!